In this session we will learn about narrative text. First, we will see a list of words and how to pronounce. To amuse, entertain and to deal with actual experience in different ways; Narratives deal with problematic events which lead to a crisis or turning point of some kind, which in turn finds a resolution. · Evaluation : a stepping back to evaluate the situation. · Resolution : the crisis is resolved, for better or for worse. After a short discussion with his advisor, Prabu Tapa Agung ordered Purbasari to be moved to the woods. 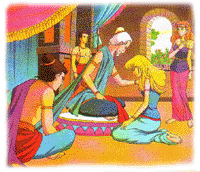 Purbasari was very sad, but she couldn’t do anything to defy her father’s order. She was accompanied to the woods by a messenger. He built a simple hut for Purbasari. After the messenger left, suddenly a black monkey came to Purbasari’s hut. He carried a bunch of bananas. From behind him, some animals looked on. “Are the bananas for me?’ Purbasari asked. The black monkey nodded, as if he understood what Purbasari said. Purbasari took the bananas with pleasure. She also said thanks. The other animals that were looking on also seemed to smile. “Are you willing to be my friend?” Purbasari asked them. All the animals nodded happily. Although she was living by herself in the woods, Purbasari never lacked of supplies. 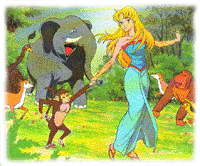 Everyday, there were always animals bringing her fruits and fish to eat. For your Home Fun, please try to find all verbs in the narrative text above. Strenghts: You had created a good blog i think. Choosing traditional folklore is a great idea in your reading material, since it can enhance students understanding about traditional story. Weaknesses: There is no generic structure in your reading text. Suggestion: to make an ease understanding to your students,you may categorize the text based on the generic structure. In the end of session, I think you need to add some conversation sentencesto your reader, for example asking their understanding and such. Thanks for providing me references of the story. It is an good-looking overview because the picture is interesting. However, I cannot listen to the pronounciation, may be because of my internet connection. More, im still confuse to pronounce the word. Would you help me by providing the stress? the reading passage is interesting because you added some picture to make the story more clear. i think it is better if you give some explanation about narrative text like what the narrative text is, the goal of narrative text, and the generic structure of narrative text. Those explanation can make your student to be more understood with narrative text. Thank you for the comments and the suggestions as well. 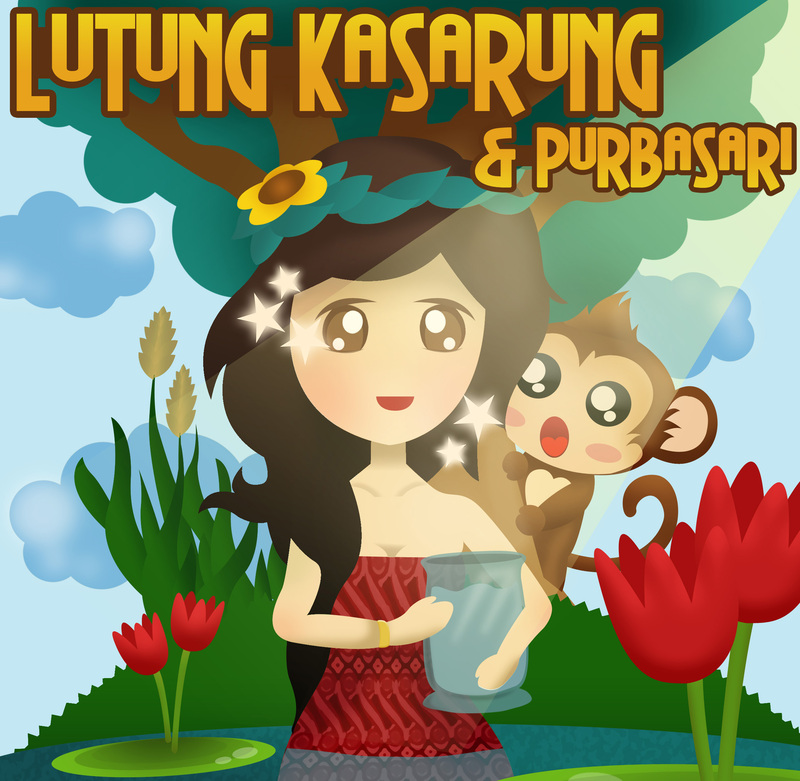 this story will enrich readers' understanding in reading skill plus their national knowledge. Strength: It's interesting blog. You give many great materials. I can learn from this blog. Weakness: I'm confusing how to use it. I don't know which one that I should open. Suggestion: Please give the student directions. Very good how you are creating this website. Just make this blog simple as possible. Also, in the part "introduction to use", if it's possible you can delete it. I think, it's not about your content. Well, quite good I think. You can make interesting website. Just, improve your blog. how to use/ open the audio? is it for junior high/senior high? Thank you for the comments and the suggestions as well. It is for Senior High School. If you want to play the audio, you just have to click it, then it will be played right on. Thank you.